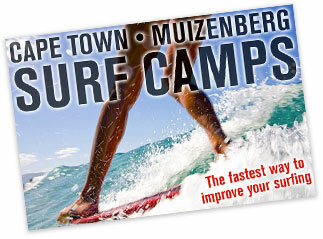 Learn 2 Surf with our experienced surfing instructors, at the safest, learner friendly beaches in South Africa. 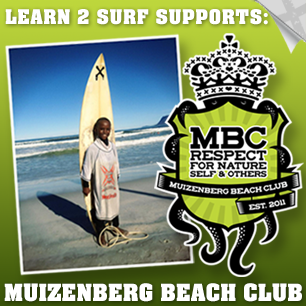 Muizenberg Beach is regarded as one of the safest and top learn to surf beaches in the world! 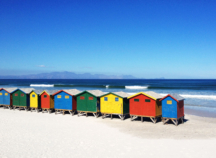 Gentle breaking waves on a sand bottomed beach with water that is much warmer than the other beaches on the Atlantic side of the Cape Peninsula, make Muizenberg Beach the ultimate learner surfer’s paradise. Mossel Bay (or Mossel Baai) is home to a fantastic variety of surf breaks – suitable for both beginners and advanced surfers. 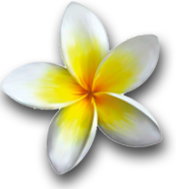 All our beginner lessons are held at Diaz Beach, a sand bottomed beach that is ideal for learning to surf. Advanced/high performance coaching can be arranged at other locations. 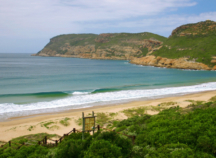 Just 20mins drive South from the popular Garden Route town of Knysna, lies a protected, sand bottomed, beach called Buffels Bay (or Buffelsbaai) that is a great learn to surf location. 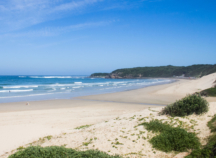 Plettenberg Bay or Plett as it’s commonly known, is an incredibly popular holiday destination during the South African school holidays. 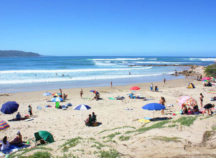 Our Plett surf school is located on Robberg Beach a beautiful location with white sands and clear waters. 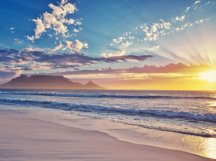 St Francis Bay and Cape St Francis are especially attractive holiday towns, hidden along the famous "Garden Route" on South Africa's East Coast. Our lessons are held in a the protected South corner of the main beach, away from rocks and rip currents. 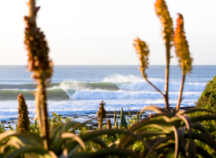 Jeffrey's Bay, or J-Bay as it is affectionately known, is home to one of the world's most perfect waves, called 'Supertubes' - and on the other side of town is a great beach for beginner surfers called 'Kitchen Windows'. 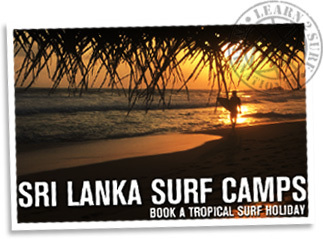 Located in a sandy bay that's nicely protected from the larger swells, 'Kitchens' a great spot for learning to surf. 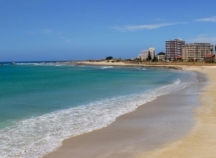 Port Elizabeth (PE) has some fantastic surf breaks for surfers of all levels. 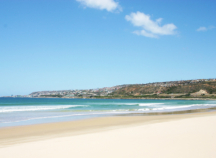 Our beginner lessons are held in the Summerstrand area at Denville or King's Beach which are side by side, sand bottomed coves, that are nicely protected from the bigger swells and winds that pass up the East Coast. 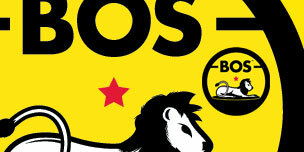 East London has produced many of South Africa's top surfers other the years. 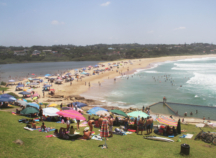 The best spot for learning to surf in East London is at Nahoon Beach. For the more advanced surfers, Nahoon Reef, a consistent rocky point break, is stroll down the beach from where we do our beginner lessons. The Margate / South Coast region, can get some serious surf that is amazing for advanced surfers but not fun for beginners at all. 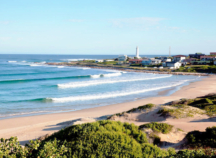 However, Southbroom beach (just south of Margate) can be an excellent learn-to-surf training ground. Let us help you plan the best days and times for the safest learning conditions. 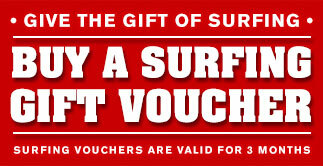 Addington Beach is your best and only choice for where to learn to surf in the Durban area. 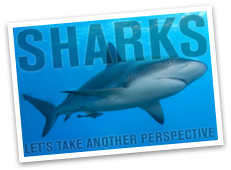 Durban has numerous amazing surf spots for advanced surfers but these spots are not safe at all for beginners. Addington Beach is sand bottomed and protected from the large swells by the harbour south of it, resulting in nice beginner waves, in tropical-like warm water.